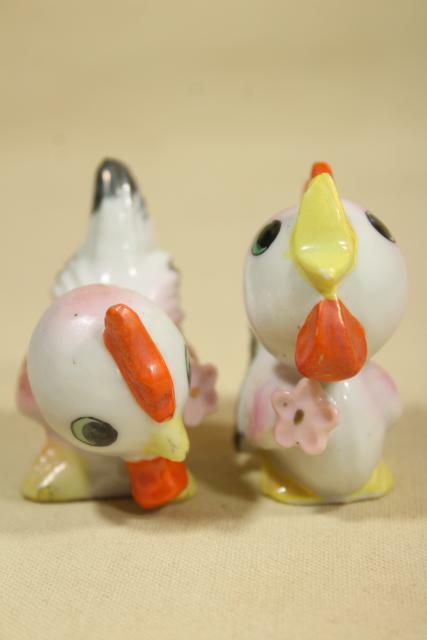 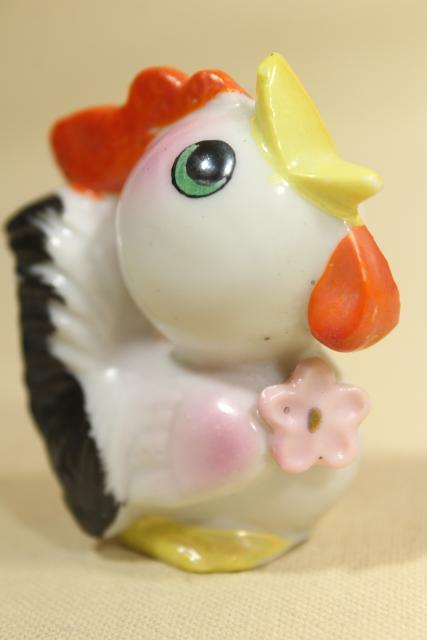 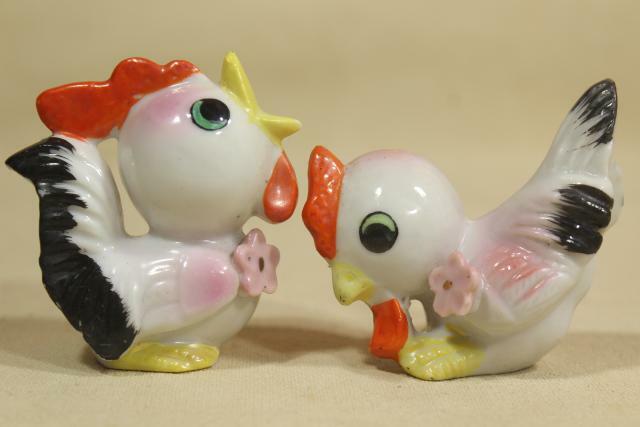 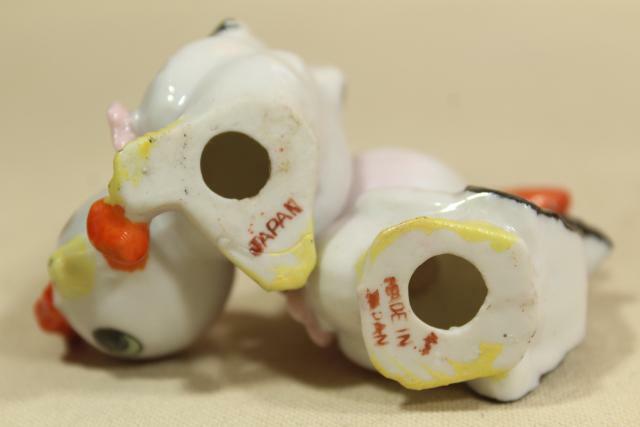 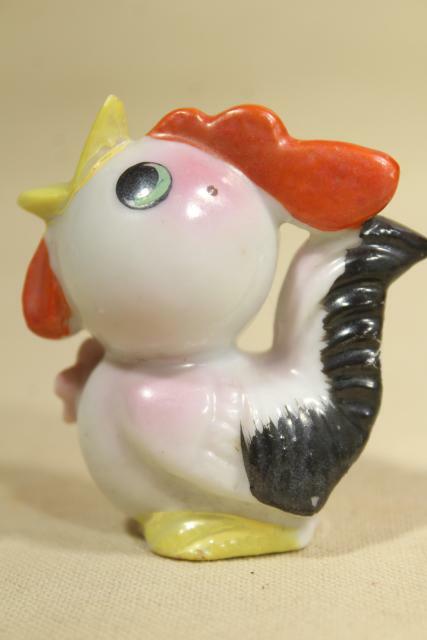 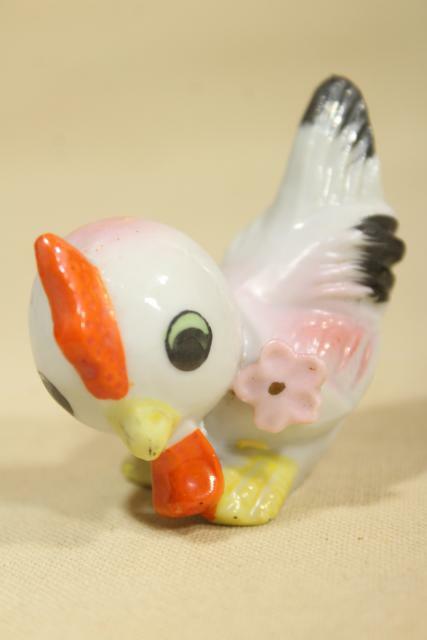 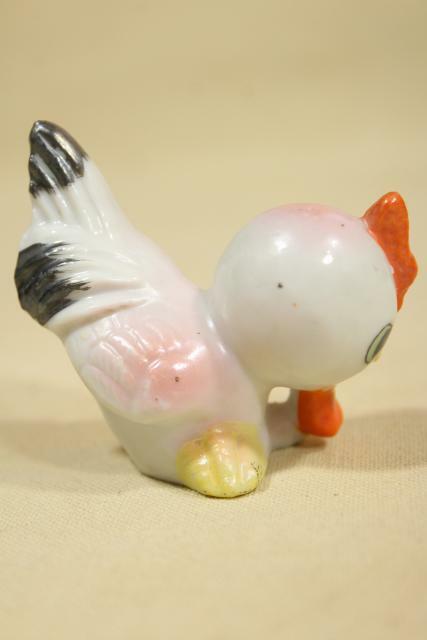 Cute little vintage chicken figurines, a pair of baby roosters, all hand painted china, made in Japan. 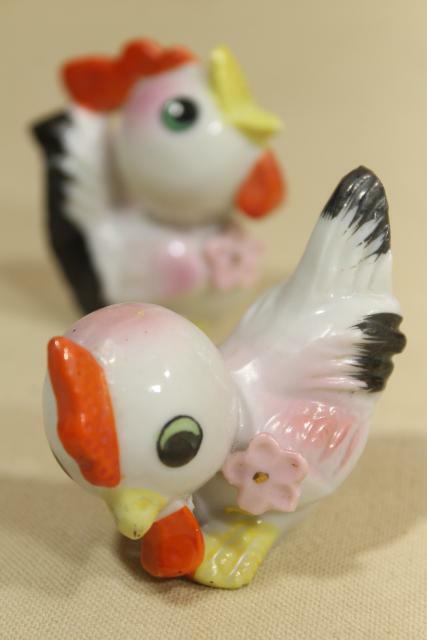 These little guys would be sweet in a hen and rooster collection, or great Easter basket fillers for a vintage loving friend! 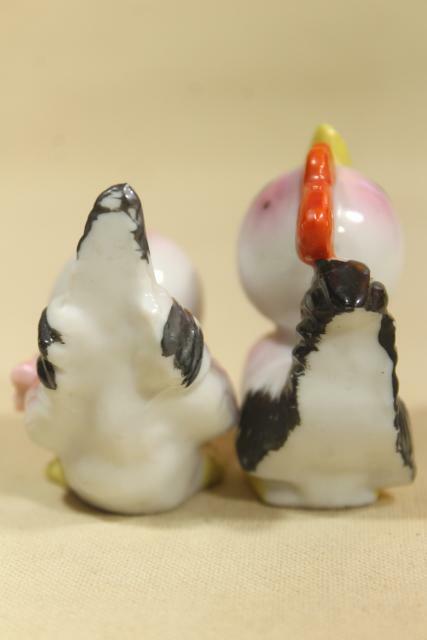 The tallest is just 2 1/2" tall (sized about like salt and pepper shakers). 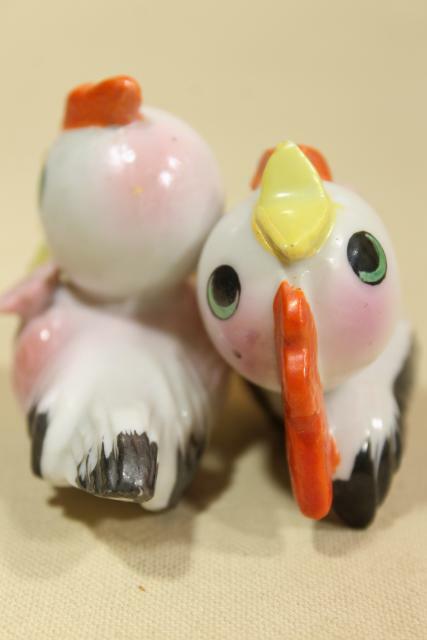 Both are in very good condition without a lot of wear to the paint.